Litter cost lives! 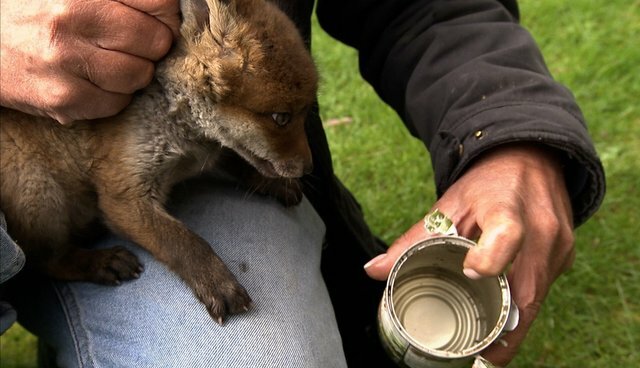 This hungry fox cub went out to explore the garden and his nose led him to a discarded can of lovely smelly food. Full of curiosity, he couldn't quite reach the food without putting his head inside and then disaster. The sharp edges of the can made it impossible for him to free himself. Fortunately, Simon Cowell was alerted to his troubles and was able to free him very quickly. Phew! The cub made a very quick exit, back to the safety of his den under the shed! This chap was lucky. So many birds and mammals are not so lucky, being injured, or even killed, by carelessly discarded items. Tin cans, plastic ring holders for cans, rubber bands; these can all cause serious harm. We have seen too many incidents involving litter, and each time it was completely avoidable if some care had been taken to dispose of the litter responsibly. Be a wildlife hero and bin your litter!